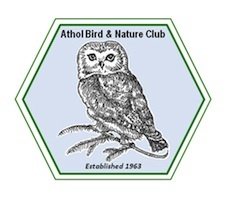 We pulled off our 49th annual Athol Christmas Bird Count. 53 species of birds observed on count day with another 4 species on count week (3 days before and 3 days after). Tabulation has been slow as we canceled the formal tally due to the weather and I am very pleased with the exceptionally high number of folks who submitted feeder counts which helped buoy our list over 50 species. Frozen water, 6 – 8 inches of snow and cold temperatures didn’t dissuade the field teams from covering their routes. Waterfowl numbers and species we34re down a bit with all the ice. We hold the Athol count each year on the first available Saturday in hopes of having open water which didn’t happen this year. The 4 Belted Kingfishers bucked that trend. Raptors were found mostly in the vicinity of feeders with a Goshawk and Merlin near Downtown Athol and a Red-shouldered in Petersham helping to boost that group. Winter Finches were sparse with only 3 Purple Finches, 6 Pine Siskins, 1 Redpoll, and count week Evening Grosbeaks as highlights. Notables included 2 Hermit Thrushes, 2 Fox Sparrows, 1 Swamp Sparrow, 2 Mockingbirds, 1 Winter Wren, and a count week Northern Shrike which made a brief appearance at the new Market Basket the day before the count. Thanks to everyone who participated. Below is a draft list of species and the number of each observed on count day. “cw” refers to observed in count week. The middle column gives the number of counts out of the 48 previous counts held in Athol which gives us a hint to relative rarity.